16 Nov 2015 --- Arjuna Natural Extracts is targeting the European market with its BCM-95 Curcumin, an all-natural patented formulation of turmeric extract. 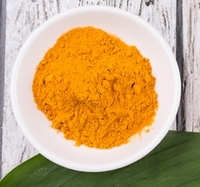 This ingredient can help mitigate symptoms of depression and anxiety, according to a recent clinical study, further backed by nearly two dozen previous studies supporting the health benefits of BCM-95 Curcumin extract. The randomized, double-blind, placebo-controlled study of 56 individuals with major depressive disorder was published in June, 2014 by Adrian Lopresti, PhD, et al., of Murdoch University, Australia, in the peer-reviewed Journal of Affective Disorders 167(2014)368–375. Results showed that supplementation with BCM-95 Curcumin succeeded in reducing the overall symptoms of depression, functioning as an anxiolytic as well when taken over a period of 8 weeks. Greater efficacy from curcumin treatment was identified in a subgroup of individuals with atypical depression (common depression). There were no significant differences in the adverse events between BCM-95 and the placebo. Another important mechanism via which curcumin is thought to alleviate symptoms of depression is via its’ potent anti-inflammatory effects. Depression is increasingly believed to be an inflammatory condition, with the inflammatory chemicals being responsible for the symptoms.